From the mainstream media to the world of weightlifting, public opinion of carbohydrates seems to be in a state of constant flux. Are they the devil in delicious disguise? Carbohydrates are commonly misunderstood, especially concerning the role they play in strength training and bodybuilding. One of the most problematic myths that I constantly hear is that carbohydrates are your worst enemy, and should be avoided. Many of us have been trained to avoid or to try and significantly limit carbs because carbs are sugar, and sugar makes you fat, and fat is bad…right? 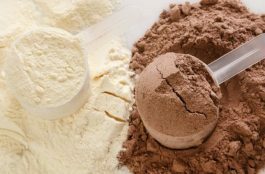 We all know that adequate protein is necessary when it comes to stimulating muscle growth, but carbohydrates also play an important role in helping you maintain and gain muscle mass. The truth is, that complex carbohydrates are very healthy and provide your body with the fuel it needs to move, and let’s face it, working out require movement to build muscle. 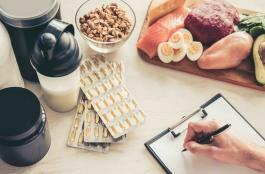 Stop doing yourself the disservice of overlooking carbs when creating your muscle building diet plan, and begin by following these rules on how to calculate carbs, and where you should be getting them from. How Much Carbs are Necessary? It is recommended that your daily caloric intake should be made up of 40-60% carbohydrates. Most people would agree that making carbohydrates around 50% of your daily calorie intake is a good rule of thumb, and has been proven an effective ratio as part of a bodybuilding diet. So, how many grams of carbohydrates is that exactly? This is easy to determine when we know that 1 gram of carbohydrates equals 4 calories. Let’s say you need to consume 3,000 calories per day to build muscle. If carbohydrates make up 50% of your diet, you will need to consume 1,500 calories worth of carbohydrates. At 4 calories per gram, 1,500 divided by 4 would equal about 375 grams of carbohydrates every day. Your own caloric intake will vary a lot based on your own personal goal, and BMR. If you are bulking, you will need to consume between 300-500 calories above your maintenance level. If you are cutting, this number will be 300-500 calories below your maintenance level. You can determine your maintenance level by reading my post on how many calories to build muscle. You’ve crunch the numbers and determined you should be consuming around 2,900 calories per day in order to maximize muscle growth. You’re looking at 45% of those calories to come from carbohydrates. TA DA! You’re a math genius, and have got your magic number of 326g of carbs per day. You’re looking to consume anywhere between 3 – 6 meals per day – we’ll use 5 as an example. 326g of carbs ÷ 5 meals = 65g of carbs per meal. With this information thus far, you know how to calculate your daily calories, the ideal ratio of carbs, and how to distribute carbohydrate dosing across several meals. Of course, you do not need to stress about hitting these numbers to the exact digit, this just gives you a good guide to work with. Do We Actually NEED Carbohydrates? It’s important to include plenty of quality carbohydrates into your diet plan during strength training and muscle building. Your body uses carbohydrates as fuel which helps improve your performance and intensity when training. If you are limiting your carbohydrate intake you will be taxing your protein supply, which can lead to a decrease in muscle mass. Carbohydrates generally serve as the body’s main source of fuel. Carbohydrates are not vital for survival though. Energy can be used from the calories in protein alone. The only problem is that if protein is being used as an energy source, your body will have a harder time building any muscle mass, as you’d be robbing your muscles of the essential macronutrient. Incorporating the right amount of quality carbohydrates into your diet is essential for optimizing the muscle building process while strength training. 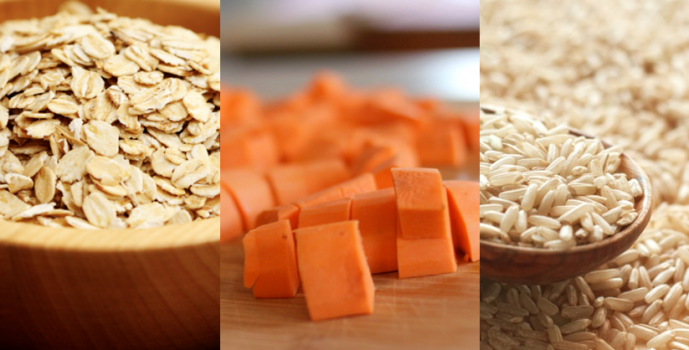 What Type of Carbohydrates are the Best? Although carbohydrates are important, eating the wrong types of carbs can be detrimental to your health. Eating candy that’s made up of mostly high glycemic sugar certainly won’t do anything to help improve your health overall. Processed foods with added sugars are poor sources of quality carbohydrates in your diet. In simple terms, a carbohydrate is a compound consisting of carbon, oxygen and hydrogen. Fiber, sugar and starch are all forms of carbohydrate, and carbs can be classified as either simple or complex. Mono- and disaccharides are “simple”, consisting of one or two linked sugar molecules. Polysaccharides are complex, long-chain carbohydrates, and contain links of monosaccharides. Glucose, fructose and galactose are the three primary monosaccharides from which all carbohydrates are formed, and though each monosaccharide contains carbon, oxygen and hydrogen, their respective molecular arrangements vary, yielding different qualities, not the least among which is taste. Disaccharides include sucrose, lactose and maltose, while polysaccharides include fiber, starch and glycogen. How do Carbohydrates Work in the Body? Put plainly, carbohydrates are nutrients used by the body to make its preferred source of fuel: glucose. Glucose serves as an energy source, and comprises a surprisingly small percentage – approximately 0.1% – of the human bloodstream, where glucose ends up following absorption from the intestines. A portion of glucose is utilized for energy, while the remainder is stored in the muscles and liver as glycogen – reserves which can called upon if blood glucose levels drop between meals. In the event that the liver’s capacity for storage is exceeded, glucose is converted to fat – a stable form of long-term caloric storage, favored when dietary carbohydrates are in short supply. There’s more to carbohydrates than energy, however – adequate carbohydrate consumption helps preserve muscle mass. If the body’s glycogen stores are depleted, and no fat reserves remain, all that’s left to consume is lean tissue – that is, your hard-earned muscles! Carbohydrates can also regulate blood sugar, nourish healthy microflora (the friendly bacteria which help digest food and bolster immunity), aid in calcium absorption, promote focus and mental clarity, and, in the case of fiber, lower LDL (low density lipoprotein) cholesterol. Thus far, we’ve painted a pretty rosy picture of carbohydrates. Are there any downsides to this tasty macronutrient? The answer is, “It depends”. Just as fats can be “good” or “bad”, so too can carbs. But what defines them as such? One way to look at it is whether a carbohydrate is simple, or complex. As discussed above, those terms refer to the number of linked sugar molecules in a given carbohydrate. Complex carbs are often referred to as “good” because their molecular complexity (relative to that of carbs containing only one or two monosaccharides) makes them slowly-digestible. Their glycemic load is low – they elevate blood sugar less, and at a slower pace, than their simple, faster-burning counterpart. Conversely, simple carbs are often referred to as “bad”, because their molecular structure allows for rapid digestion and absorption into the bloodstream, causing a dramatic rise and fall in blood sugar levels – and the faster and greater this rise, the more it elevates insulin, leading to an increased risk of diabetes, obesity, accelerated aging, cardiovascular disease, endocrine disorders and insulin resistance. Additionally, simple carbohydrates are often found in instant, processed or heavily sweetened products, which are typically devoid of nutritional value. On the other hand, unprocessed, nutrient-rich whole foods, which offer myriad health benefits, often contain complex carbs. Having said that, some healthy choices, such as fresh fruit, do contain simple carbohydrates, but an abundance of fiber slows the release of sugar, while antioxidants, vitamins and minerals contribute to good health. While true that in the absence of dietary carbohydrates the body turns to stored fat as an energy source, the inclination of some bodybuilders to drastically reduce their carb intake in an effort to decrease body fat may be unwise. Carbohydrates – particularly ones that are complex, low-glycemic and bound up in fiber – are an excellent source of energy, and the fuel that our bodies are most accustomed to burning. Utilizing carbs enables athletes to train harder, grow stronger and add lean mass – and consequently, burn fat, and improve body composition. In fact, severe carbohydrate restriction can hamper athletic performance. When blood glucose drops, and reserves are depleted, your brain and muscles are deprived of their favorite fuel, leading to a reduction in mental capacity, drive, strength and stamina. Of course, as touched on earlier, not all carbs are created equal. The chronic overconsumption of white bread, pasta and junky snacks may lead to a nutrient deficit, slumping energy levels and a decidedly un-athletic physique. Whenever possible, reach for slow-burning, fiber-rich sources of carbohydrates. Combine them with sufficient quantities of high-quality protein and healthy fats, and watch as your speed and strength improve! It turns out that carbohydrates are not the devil in disguise, after all. 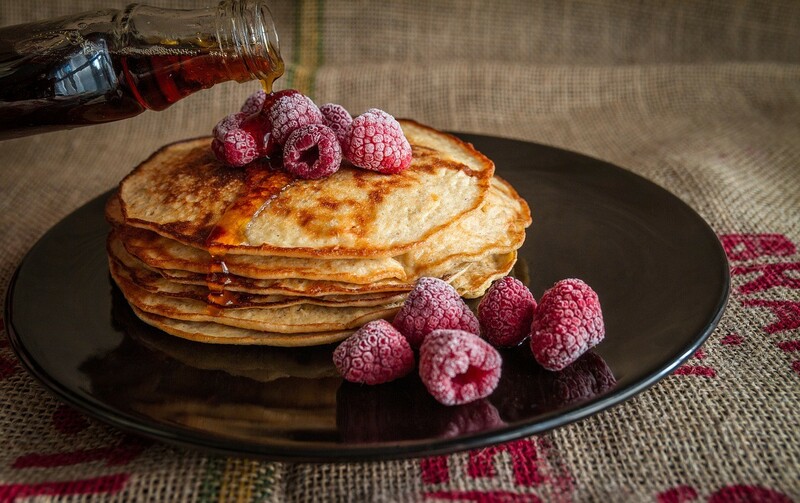 As with most things in life, quantity and quality matter: Too many of the wrong sort of carbs can be of detriment to your physique, health and performance; yet healthy carbs – those found in whole, nutritious foods – nourish and sustain, providing body and mind with energy-giving glycogen that allows you to survive and thrive, both in day-to-day life, and every time you hit the gym!